I've gotten a few comics the past few years that were sold in cardboard boxes. Chris Ware's Building Stories is certainly the most well-known example, but I've picked up a couple others from independent artists as well. In every case, the box was, to some degree, necessary. 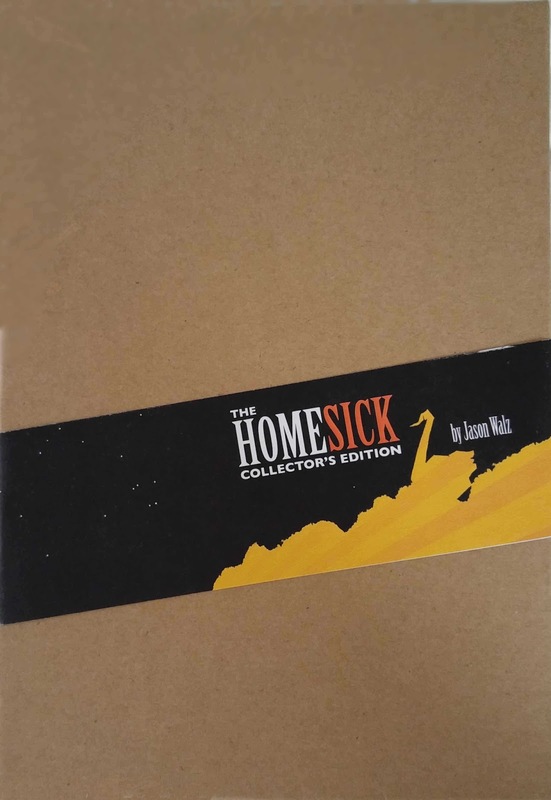 Jason Walz's Homesick I'm showing here, for example, came with a copy of the book, a second (sort-of sequel) book, a t-shirt, and two pieces of original art. You could hand all those items over individually, of course, but there's somewhat different sense of the presentation when it's nicely bundled in a single container. Another example I have, Alex Dahm's Dive, is a single booklet, but it's of a decidedly unusual construction with a series of hand-cut-and-glued fold-outs. Again, while it could be sold without its box, the physical nature of how the piece is constructed could easily lend itself to being inadvertently destroyed without some additional protection. The problem with these, however, tends to be one of storage. In the case of Building Stories, it's just an uncomfortably large box to put on your shelf. I've heard more than a few people grumble about this point since it was published. But what it does do reasonably is keep the extra box space to a minimum. The box is so large because it houses some fairly large pieces. The length and width of the box are essentially the same size as the length and width of the largest pieces. I'm sure Ware had more than a little say into how this set was packaged, and the boxes here were custom-designed to fit his materials. 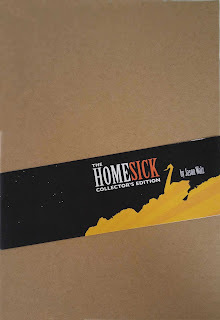 The other box sets I have, though, are off-the-shelf options that were undoubtedly bought independently of the comics themselves. Consequently, they tend to have a fair amount of extra space, relative to the contents. And while that's not a huge deal, that can mean that one of these boxes takes up two or three times the space on your shelf as the book itself. I can't speak for every comic collector out there, of course, but my shelf space is kind of at a premium any more. I don't have a lot of extra room to devote to empty box space. I mean, they look nice and all, but are they worth the extra money independent creators put into them? When push comes to shove, is it worth my holding on to the boxes, or should I chuck them in favor of the extra inches of shelf space that would free up? Something for creators to think about when they're trying to put together some kind of special package as they're travelling the con circuit.